I’m hoping, however, that things will pick up soon. You see, this is the last full week of school in my district! (*Cue dance of joy. *) I’ll still have trainings, meetings, and other school stuff to do, but I also plan to devote more time to my family, my friends, and my reading. So don’t despair, dear readers. Knight Reader isn’t going anywhere yet. Now that that’s out of the way, let’s turn to my latest read, which brought it’s own set of aggravations. It was a good book (and it should be given that it’s a 17-18 South Carolina Children’s Book Award nominee), but, like a lot of readers, I get bothered when covers and titles change. This book, Cursed by Bruce Coville, was originally published as Diary of a Mad Brownie. It’s also known as The Enchanted Files #1. The cover was also completely redesigned (see below). I get that there are reasons for this, but it is a little jarring and confusing to readers. 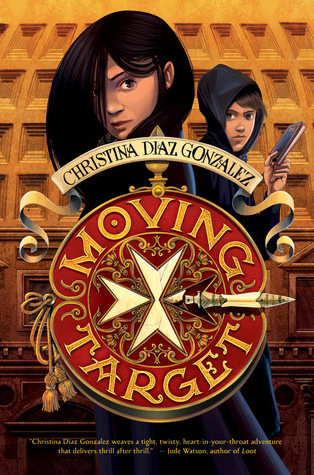 That being said, I did like the book, and I think many upper elementary and middle grade readers will as well. Angus Cairns is a brownie–no, not a fudgy treat or a Girl Scout. He’s a wee magical creature who likes to do a bit of mischief while keeping things neat and tidy for the family he serves. For Angus, though, there’s not exactly a choice in which family he’s tied to. Thanks to a curse, Angus is bound to serve the McGonagall family. It hasn’t been a bad life. He’s been with Sarah McGonagall for years, and he’s loved living with her in Scotland. As Sarah gets older, however, Angus realizes that he’ll soon have to move on to another McGonagall descendant. This move will take him from his beloved Scotland to the strange and mysterious land of America…and the household of the messiest girl he’s ever encountered. When Angus arrives at the Carhart househould, he’s not sure what to make of the situation. To be sure, things are a mess, and he’ll have his work cut out for him just keeping Alex, his new assignment, in order. Alex, for her part, doesn’t help matters. She seems to enjoy being a slob, and it drives Angus bananas! Things do eventually improve when Angus reveals himself to Alex, but a whole new set of problems arrives to upset their delicate balance. The curse that binds Angus to the McGonagall family also has another part. It causes all of the men in the house where Angus resides to become obsessed with writing bad poetry. This has a huge impact on Alex’s dad, who quits his job to write songs, and her brother, who starts wearing all black and talks about leaving the soccer team. There’s only one thing to be done before this family loses everything–Angus must find a way to break this wretched curse. Well, breaking a centuries-old curse may be easier said than done, but Angus and Alex are not alone. They are joined by Alex’s little sister, Destiny, her brother, and, perhaps strangest of all, Destiny’s kindergarten teacher. All of these people will work together, journey through the Enchanted Realm, and uncover some interesting secrets in their quest to break the curse that binds them. But what then? What could the end of this curse mean for Angus and Alex? Answer these questions and many more when you read Cursed by Bruce Coville. Readers who love books in diary format will definitely enjoy this book. It’s also a good fit for fans of light fantasy. It’s funny, sometimes suspenseful, and thoroughly captivating. Many readers may relate to both Alex’s disorganized manner and Angus’ short temper. I’m hoping they’ll also see how these two sorted out their differences and became stronger as a result. Given that Cursed is the first book in The Enchanted Files, you may be wondering about the next installment. Well, as of right now, there is one more book, Hatched. It’s already out, and it presents the tale of Gerald the Griffin. It looks fairly interesting, and I’m certain I’ll be placing it on my next school book order. 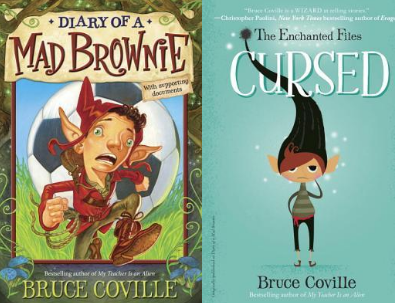 To learn more about Cursed, The Enchanted Files #1, Diary of a Mad Brownie, or whatever you want to call this book, visit author Bruce Coville’s website. You can also connect with him on Facebook and Twitter. I know there’s not a whole lot to it, but based on what I see alone, I think I’m getting a cute love story set near water. To a certain degree, that is true, but this book is so much more than a love story (not that there’s anything in the world wrong with romance). This book is about relationships–between romantic interests, friends, and families–and how they change (or stay stagnant) as circumstances change. From the moment they were born, Emmy and Oliver were together. They shared the same birthday, they lived next door to each other, and they were the best of friends. In an instant, though, everything changed. One minute, Emmy was watching Oliver leave school for the day; the next minute, his dad had taken him and disappeared. That was ten years ago, when Emmy and Oliver were just seven years old. Emmy is now seventeen and a senior in high school. She hasn’t seen Oliver in ten years–has no idea where he went or what happened to him–but his disappearance continues to color her world. Since that day long ago, her parents have watched her every move. Her curfew is ridiculously early, she has to hide her love of surfing, and even applying for college is a no-no. They don’t want to let Emmy out of their sight because they know that the worst can most definitely happen. After so long, most people have moved on from Oliver’s kidnapping. There are no more search parties. Every once in a while, his story is featured on the news, but that doesn’t really have much of an impact. Oliver is still gone, and his whereabouts remain a mystery. Until now. One day, seemingly out of the blue, Oliver comes home. He’s been gone for ten years, but some people–his mother included–seem to expect him to pick up where he left off. But things are different now. Oliver’s a different person and so are those around him. Oliver’s had ten pretty good years with his dad, and now he’s expected to view the man who raised him as a villain. He’s coming into a whole new family as well. While he was gone, his mom remarried and had twin girls. How does he fit into his own family now? And does he even want to? As for Emmy, she wants to get to know her friend again, but she has no illusions that they can pick up where they left off. She wants to know who Oliver is now. Emmy is one of the only people who Oliver feels comfortable talking to…and vice versa. Oliver tells Emmy about his life with his dad, how he feels about being back, and his frustrations with being the center of attention. Emmy confides in Oliver about her love of surfing and her plans for the future–plans she hasn’t revealed to her parents or either of her closest friends. Day by day, Emmy and Oliver grow closer. Their parents still have eagle eyes on them, though, and it’s putting a strain on things. Neither of them feel free to truly be themselves. For Oliver, that means adapting to his new circumstances, coming to terms with what happened, and his feelings for his father. For Emmy, that means hiding her true self and what she really wants to do with her life. Emmy and Oliver can’t go on holding everything in, and all of their complicated feelings, fears, and frustrations will soon come out, whether they like it or not. How will this change their relationships with their friends, their parents, and each other? What could it mean for their futures? Do Emmy and Oliver even have a future when so much of their lives is governed by the past? Answer these questions and many more when you read Emmy & Oliver by Robin Benway. In case you were wondering, I really liked Emmy & Oliver. It was a quick, moving, often funny read that kept me interested. Both Emmy and Oliver are snarky and funny, even in the midst of difficult circumstances, but they are also sensitive, loving, loyal, and totally real. The same goes for their friends. I also thought the parents in this story behaved in a fairly realistic way. I imagine that something as horrific as a child being kidnapped would make some parents hold on tighter to their own children, whether those children are seven or seventeen. If I had one complaint about this book, it would be that it’s solely from Emmy’s point of view. I would have loved to read Oliver’s side of things. Granted, we see a lot of his story in his conversations with Emmy, but I think the book would have been stronger if we’d viewed at least some of the drama through Oliver’s eyes. 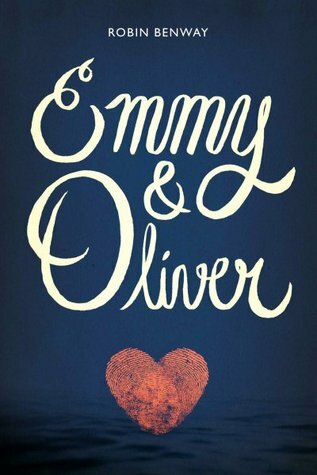 Emmy & Oliver is a nominee for the 17-18 South Carolina Young Adult Book Award. Will it win? I have no idea. No matter what, though, it is a good story, and it gives the reader so much more than the cover implies. For more information on Emmy & Oliver, visit author Robin Benway’s website. You can also connect with the author on Twitter, Instagram, and Tumblr. Today, in an effort to escape election coverage, I dove into a bit of fiction. (I fully intend to get back to that as soon as I finish this post.) 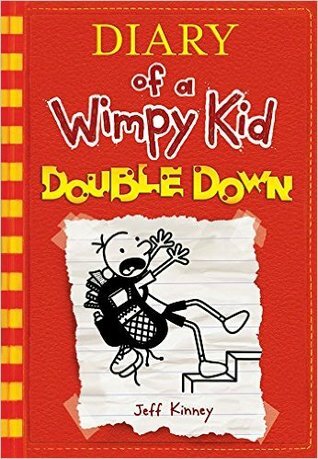 My latest read was the latest Diary of a Wimpy Kid book, Double Down. This is the eleventh offering in this wildly popular series, and I’m sure it won’t be the last. Greg Heffley begins his latest diary by wondering if the world really does revolve around him. Just in case he’s the star of some Truman Show-like experiment, he plays to the invisible cameras around him, makes plans to cash in on his fame later, and wonders if everyone around him is actually an actor…or a robot. And even if he’s not the focus of some lame TV show, Greg is sure that someone is out there watching him…and that’s kind of creepy when he really thinks about it. Greg is also visiting his school’s book fair. Surely his mom won’t mind if he doesn’t buy actual books at the book fair, right? (Wrong.) When he’s forced to return all of the junk he purchased, he decides to buy the Spineticklers series by I.M. Spooky. His mom isn’t exactly thrilled with this either, but he figures that reading is reading. Even with all of that going on, Greg’s mom is on his case to broaden his horizons. She worries that playing video games all the time is making his brain go mushy, so she urges him to make new friends, study harder, do chores, and think about what he wants to do with his life. (She’s not too impressed with his idea to be a video game tester when he grows up.) Greg gets the bright idea to make a movie inspired by the Spineticklers books, but, as is so often the case with Greg, nothing works out according to plan. 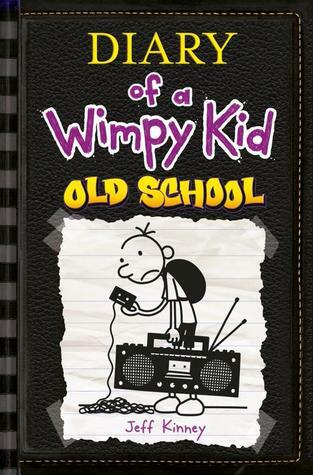 Like the ten books before it, kids are sure to adore this Diary of a Wimpy Kid book. (I bought ten copies for my library, and they were gone within a day.) It’s funny, fast, and completely relatable, no matter what your current age. At any rate, I’m sure Double Down will be as popular as the other books and will have readers clamoring for more. I’m guessing we’ll see another DoaWK book around this time next year. News of future books will likely be announced first on the Wimpy Kid website or YouTube channel. Speaking of YouTube, here’s a Double Down teaser I found on the Wimpy Kid channel. Check it out for an additional peek at this fun book. Note: Leave Me is not a book for kids or teens. This one is for the grown-ups. I’ve been reading almost nothing but children’s books for the past month, so I decided to change things up a bit. 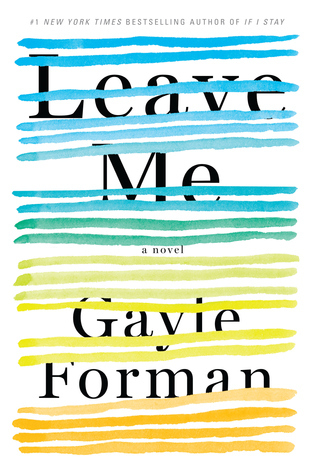 Thanks to NetGalley, I was able to do that with Leave Me, the first adult novel by Gayle Forman. Like me, you may know Gayle Forman from her outstanding YA novels–If I Stay, Where She Went, Just One Day, Just One Year, and I Was Here–but she’s writing for an older audience in her latest book. Leave Me, which will be released on September 6th, is a great read for anyone who has ever been overwhelmed by the worries and responsibilities that come with being an adult. For those who’ve thought about escaping and leaving it all behind. For those who’ve wanted to just think of themselves, even for a little while. In Leave Me, readers meet Maribeth Klein. Maribeth knows what it is to be busy, to have every part of her day claimed by her job, her husband, her children, and all of the other things that come with being a working mother. Maribeth is so busy, in fact, that she scarcely has time to notice that she’s having a heart attack. When Maribeth realizes what’s happening, she’s justifiably terrified, but she really doesn’t have time for this. Who will get the kids where they need to be? Who will ensure that the taxes are paid on time? Who will take care of her deadlines at work? Who will make sure things are running smoothly? This heart attack is inconvenient…for everyone, it seems. After Maribeth is finally released from the hospital, she feels like those around her expect her to bounce back immediately. They want her to go back to being the same old Maribeth, the woman who takes care of everything. Her husband is eager to go back to work and leave the kids with Maribeth. Her kids want their mom to be able to read them stories, take them to school, and be just as involved as she was before. Even Maribeth’s mother, who has moved it to “help” while Maribeth recuperates, doesn’t understand that Maribeth can’t yet do the things she once did. Maribeth feels overwhelmed by her frustrated attempts to recuperate and her family’s demands on her, not to mention the fact that she’s been essentially replaced at work, so she does something that, even in her own eyes, is inconceivable. She leaves. She leaves her home, her husband, her kids…everything. For the first time in a long time, Maribeth needs to focus on herself, and leaving it all behind is the only way she sees to make that happen. While she’s away, Maribeth, now using a new name, reflects on her life and what led her to this point. She recalls both the good and bad times. She thinks about how much she still loves her kids, her husband, and her best friend. With the help of a new, enigmatic doctor, she finally begins to heal. She enjoys some unlikely friendships. And she finally begins to get answers to several questions that have plagued her for years. As Maribeth gets better, both physically, mentally, and emotionally, she wonders about the life and people she left behind at home. How are they faring? Do they miss her? Do they hate her? Do they want her to come home? Is she even ready for that? Soon enough, Maribeth will get the answers to some of those questions, and those answers may just make it possible for her to return home. Discover how leaving everything behind helps Maribeth find her way home when you read Leave Me by Gayle Forman. I feel like I’ve given way too much away here, and I apologize for that. Sometimes I don’t know when to stop. Even so, I hope I’ve whetted your appetite for this book, and I hope you find it as enjoyable and thought-provoking as I did. Leaving like Maribeth did, an action many readers–myself included–will view as unthinkable, is also understandable, especially given the circumstances. How would you react in the same situation? Reading this book may make you think about that. If Leave Me sounds like a book you would enjoy, I encourage you to pick it up on September 6th. For more information on this book and others by Gayle Forman, visit the author’s website. You can also connect with the author on Facebook, Twitter, Instagram, and Tumblr. As of last Tuesday, we now have ten books in the wildly popular Diary of a Wimpy Kid series by Jeff Kinney. This weekend, I devoted a little time to reading the 10th book, Old School. In this latest installment, Greg Heffley is wondering if life was really better in the old days. He always hears his parents and his grandfather talking about the “good old days,” but he doesn’t see what’s so good about them. No decent electronics, little privacy…and no baby wipes. It all sounds pretty awful to Greg. This year, Greg is getting a little taste of the “good old days.” For one thing, his grandfather has moved in. This causes a bit of a shuffle in the Heffley house, which means Greg now shares a room with his little brother. There’s also some added stress because Greg’s dad realizes just how much his kids don’t know how to do themselves. This leads to even more changes, like Greg taking more responsibility for himself…and older brother Rodrick getting a job. Greg’s mom is also getting into the whole “old school” thing. She’s organizing a city-wide weekend with no electronics. This means no TV, phones, gaming systems…nothing. She wants neighbors to get outside and reconnect with each other. Greg isn’t nearly as enthused as his mother. This can only end badly for him. And finally, there’s the big field trip his class is taking. One whole week roughing it at Hardscrabble Farms. Greg learns fairly quickly that he’s just not cut out for doing things the “old school” way. He’s a kid that enjoys his modern conveniences…and he’s not the only one. Join Greg as he attempts to try things the old-fashioned way…and realizes that, though people in the past may have been tougher, being a wimpy kid in the present isn’t exactly a walk in the park. I predict that many of my students will also relate to Greg in this book, but there will be others who think he’s crazy. They would rather be out in nature–hunting, fishing, camping–than anywhere else. But even with their differing perspectives, every kid will be able to identify with Greg in some way. Whether it’s his frustrations with his family, his attempts to make a quick buck, trying to find short-cuts around hard work, or letting situations get away from him, Greg is a thoroughly relatable character for anyone who’s ever been a kid…wimpy or not. If you’d like more information on Jeff Kinney and the entire Diary of a Wimpy Kid series, click here. Also, check out more about Old School in the video below. Well, last night, I finished another SCCBA nominee (only one more to go! ), and this one was probably one of the best of this year’s list. The book was The Girl from Felony Bay by J.E. Thompson. Even though the book was nearly 400 pages long, I devoured it in less than twenty-four hours. It was excellent. Abbey Force has had a rough time of it lately. Her father is in a coma and can’t defend himself against some fairly awful accusations. Her beautiful home, Reward Plantation in the Lowcountry of South Carolina, had to be sold to pay off her dad’s supposed debts. And Abbey had to move in with her horrible Uncle Charlie and his wife, Ruth. Abbey soon meets the daughter of Reward Plantation’s new owner. Bee Force (no relation) is Abbey’s age, and their families have a connection that goes back to before the Civil War. It appears that Abbey’s ancestors kept Bee’s ancestors as slaves, and Bee’s family took on Force as their last name after the war was over. Even though their family stories could have driven a wedge between these two girls, instead it brings them closer together, and they soon become as close as sisters…and they’ll need that closeness to weather the storm that’s headed their way. Abbey is determined to prove to everyone that her father is innocent, and Bee wants to help her new friend. It quickly becomes clear that the two girls are on to something, but what? Why are there “No trespassing” signs and big holes around Felony Bay? Why was this parcel of land sold separately from Reward Plantation? Why is Uncle Charlie so smug all of a sudden, and what does the Deputy Sheriff have to do with his new attitude? What’s the connection with Abbey’s dad and the accusations made against him? Can two twelve-year-old girls really prove that something sinister is going on? Abbey and Bee are working to solve this mystery, and their investigation takes them all over Charleston and Reward Plantation. Danger abounds, and the girls eventually uncover a plot that dates back over a century. Can they reveal the truth before it’s too late? Or will all of their sleuthing make them the next target of whoever is trying to frame Abbey’s dad? Join Abbey and Bee Force in their quest for the truth when you read The Girl from Felony Bay by J.E. Thompson! I’m sure the South Carolina connection had a little to do with why I enjoyed this book so much. More than that, though, was the excellent, compelling story. I was eager to turn each page and find out what Abbey and Bee were going to get into next. I can only hope my students feel the same way (especially since this book is also one of our Battle of the Books titles this year). Rest assured, I will talk The Girl from Felony Bay up at every opportunity. 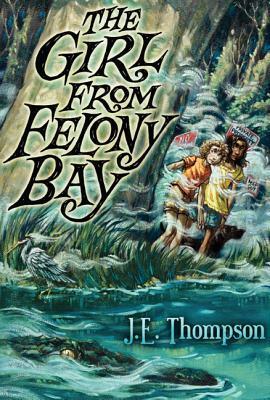 In addition to being a great example of a mystery, The Girl from Felony Bay could also serve as a mentor text for studies on figurative language. J.E. Thompson, like many other Southern writers, doesn’t just tell the reader what something looks or feels like. He paints a picture, and he uses vivid, descriptive language to do it. The similes, metaphors, hyperbole, and other literary tools in this book are great examples that students may want to employ in their own writing. I wish I had more time to extoll all of the virtues of this book, but I’m late for supper at my mom’s house, so I’ll wrap it up. Read this book. Share this book with your students. I recommend it to all readers in upper elementary and middle grades, but I think it’s a mystery that readers of all ages can and will enjoy. If you want more of Abbey and Bee, there’s another Felony Bay book out there. Disappearance at Hangman’s Bluff follows these two girls into another mystery. I’ll be ordering this book for my school library as soon as I return to work tomorrow. For even more information on The Girl from Felony Bay, Disappearance at Hangman’s Bluff, and author J.E. Thompson, I invite you to visit the author’s website. Happy reading! Happy Independence Day to all of my American friends out there–and happy Saturday to everyone else. As fireworks are blasting all around me, I figured now was a good time to bring you my latest read. I’m not a huge fan of loud noises, so this is helping me to focus on something other than the idea that my neighbors have spent what seems like thousands of dollars in pyrotechnics. Thanks for that. 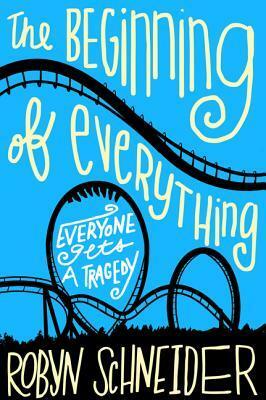 Yesterday, I finished reading The Beginning of Everything by Robyn Schneider. This book, which is nominated for the 15-16 South Carolina Young Adult Book Award, is sure to be a hit with readers who love John Green, Gayle Forman, Jennifer E. Smith, and other wonderful authors of contemporary YA fiction. Ezra Faulkner was once the envy of nearly everyone around him. He had the beautiful girlfriend, he was a tennis star, and he was one of the most popular guys in the junior class. All of that changed, though, on one fateful night. One night–and one tragic car accident–that shattered his leg, his tennis career, and everything he thought he knew about himself. After a grueling summer of surgeries, rehab, and physical therapy, Ezra is returning to school for his senior year. He knows that this year will be different, but he’s not quite prepared for just how different. He’s no longer the school’s golden boy. His former girlfriend has moved on–to the new captain of the tennis team. Some of his supposed friends act like nothing has changed, but Ezra knows that they can’t simply go back to the way things once were. Too much has happened in the past few months. Now, Ezra is trading the tennis team for the debate team. It is here that he reconnects with Tobey, one of his best childhood friends, and he also meets a few new friends who are much more interesting than his former self would have believed. Ezra also meets Cassidy Thorpe, the enigmatic new girl who sparks his interest and forces him to think about the new direction his life has taken. Ezra is completely taken in by Cassidy. He feels more for her than he ever did for his former girlfriend, he enjoys being with her, and he appreciates that she makes him think. But Ezra knows that Cassidy is holding something back. She won’t talk about why she’s transferred to his school or no longer competes in debate. She never invites Ezra to her house or introduces him to her family. Why? What exactly is this mysterious girl hiding? Why is she doing her best to drive Ezra away when he thought they were closer than ever? When Ezra finally realizes what Cassidy has been hiding, the air is knocked out of him. The truth is almost too much for him–and Cassidy–to handle, and this new tragedy, much like the car accident that altered the course of his life, has the power to change everything. While I found The Beginning of Everything to be a tad predictable, I did enjoy it. I loved the character of Tobey, who I imagined as kind of a teenage version of Matt Smith’s 11th Doctor. I also liked how Ezra’s character developed throughout the book. Sure, there were times when I wanted to smack him for being wishy-washy, but he did come to realize that he had more to him than tennis and superficial popularity. I’m hoping that readers will do further research on the the literary and philosophical allusions in this book. There were many references to the Panopticon, The Great Gatsby, Foucault, and other works and ideas that make The Beginning of Everything a much richer read because of their presence. If I have one big complaint about this book, it was the way it concluded. I wasn’t crazy about the abrupt ending. It almost felt like there were a couple of chapters missing. I went from reading about Christmas of Ezra’s senior year to his first year of college in a matter of minutes. It was a little jarring. I get that the major events of the book had already happened, but a little more stuff would have given me a greater sense of closure that what I ended up with. If you think The Beginning of Everything sounds like your kind of book, you can learn more on the author’s website. You can also connect with author Robyn Schneider on Twitter, Tumblr, Instagram, and YouTube.